If it was not The Star, We would not be able to find out this hidden gem. 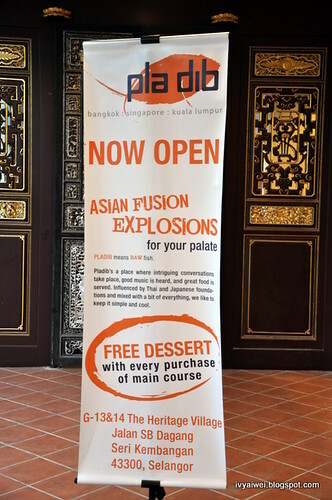 Pla dib, the Bangkok’s top-ranked Thai fusion restaurant, has just started their business 3 months ago, situate at here Heritage Village, Seri Kembangan; facing a great view of 50-acre lake; serving the very interesting Thai fusion dishes. 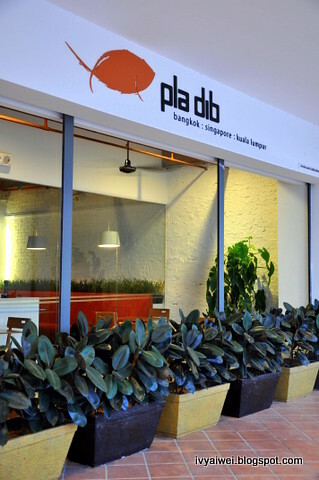 Pla dib means “raw fish” in Thai. 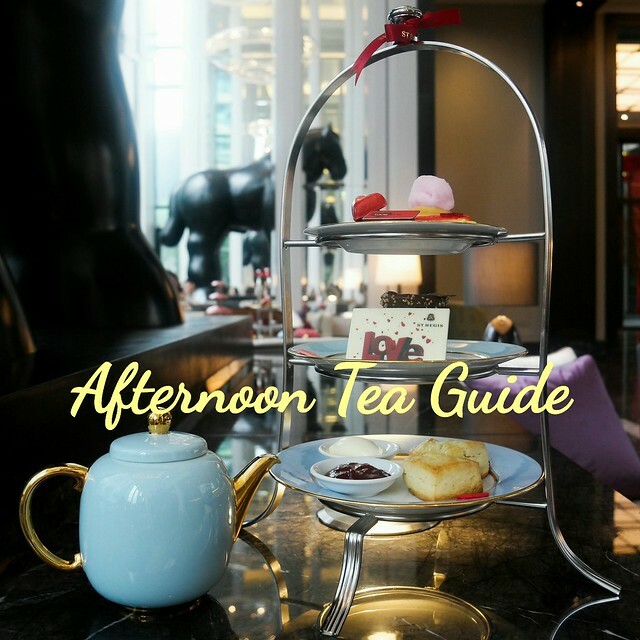 We ran through the menu – pasta, pizza, main courses, fusion appetizers… it is more like Japanese fusion dishes or Italian cuisine. there was no sight of tom yum too. Let’s see what we had. 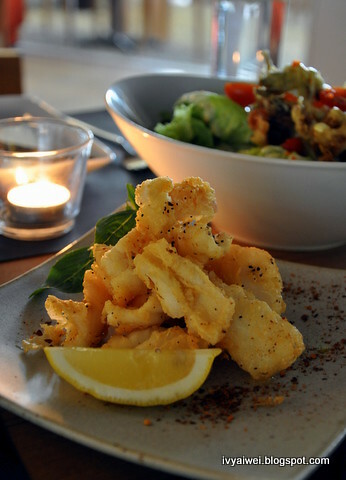 The deep fried squid seasoned with salt and pepper. 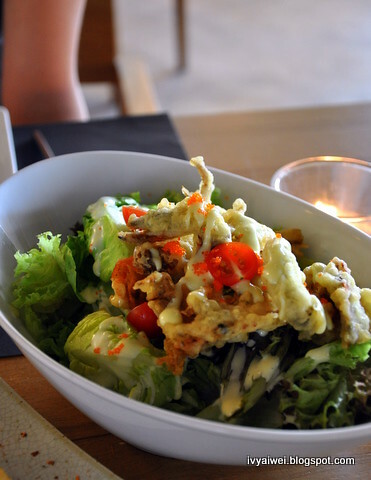 Soft Shell Crab Salad (RM 15) with mayobi dressing. The dressing is a mix of wasabi and mayonnaise. A lovely dressing it is but I find the amount of the dressing was not enough to wet our salad. it was served with a raw egg. Pour in the raw egg on the piping hot rice and mix well. 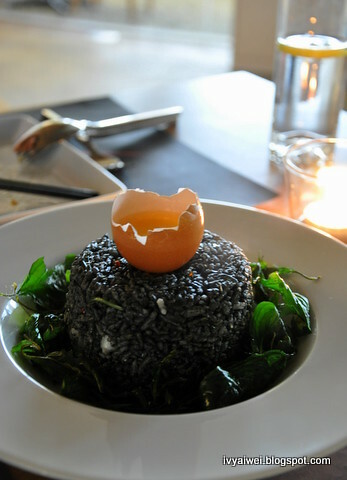 We love the combination of the egg in our spicy blacky-looking rice. And the additional of basil leaves were added to reduce the hotness from the chili padi. Love it, spicy and definitely best for the spicy food lovers. Creamy and fragrant with light roasted garlic oil!!! 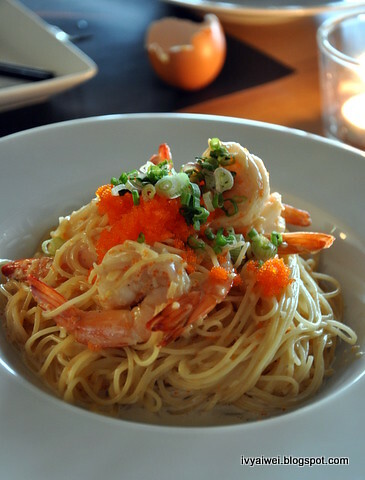 and I love the crunchiness of ebikko in every forkful of the angel hair. 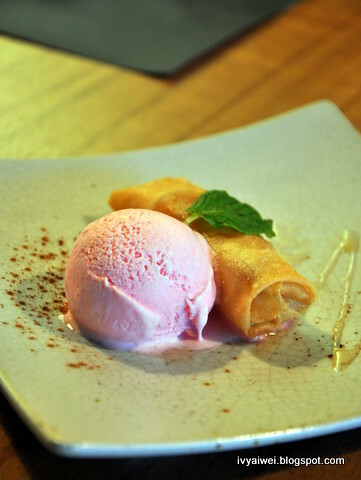 Free Dessert with every purchase of the main course!!! Tham Thim Khrob (RM 8) made with shaved coconut milk loaded with red rubies was very fresh and a thirst-quenching one. Durian Gelato (RM 8) was something new in the menu. 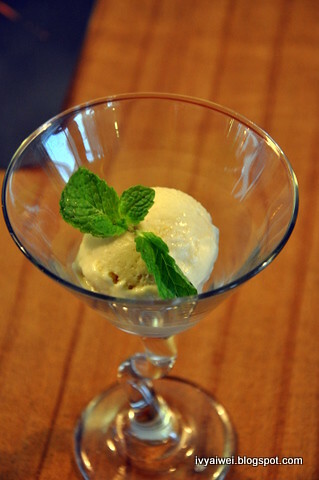 Their handmade durian ice cream was strong and fragrant and rich with durian. They love it. Verdict: The food here was great. The presentation for the food was nice too. However, the environment in the restaurant was a bit too dark for me. 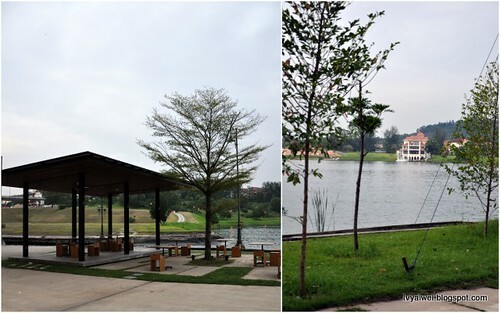 Well, I must say this is a great place for the couples to drop by; either enjoying the meals in the dim-lit restaurant or sitting by the lake with the cool breeze running through, you and your companion will gotta enjoy the perfect meal here. By the way, we were told that in near future, there will be pork dishes listed in the menu. Oo, why ler? they fried it into crispy liked, so no taste one wor. Ever wonder why were they named Raw Fish, but instead serving cooked, fusion cuisine? Pla Dib, the name rolls off the tongue effortlessly though. The thab thim krob does not look anything resembling the original, with foams of coconut milk? (or was it cream, or ice cream?). it's not cream or ice cream. 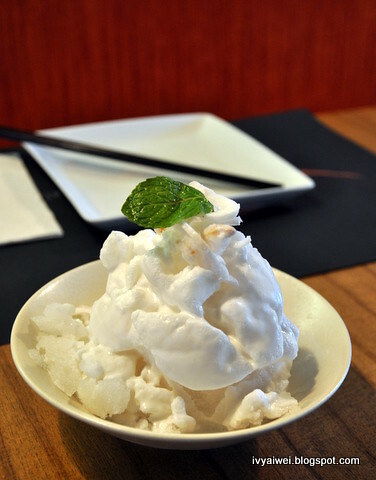 it's the very original one, i guess, with coconut juice sorbet (gua) and coconut milk… a very good one. 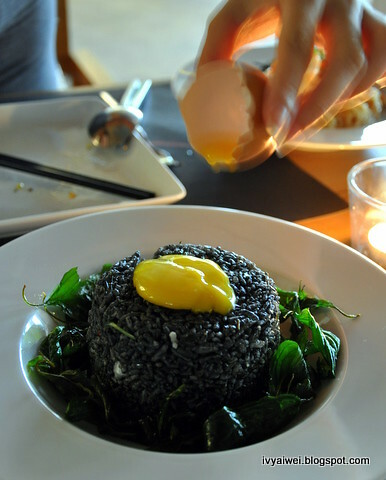 and the squid ink fried rice looks really exquisite! didn't there is a restaurant "hide" in heritage. haha.. Black Fried Rice won't taste weird? u staying @ serdang area too ? wow! 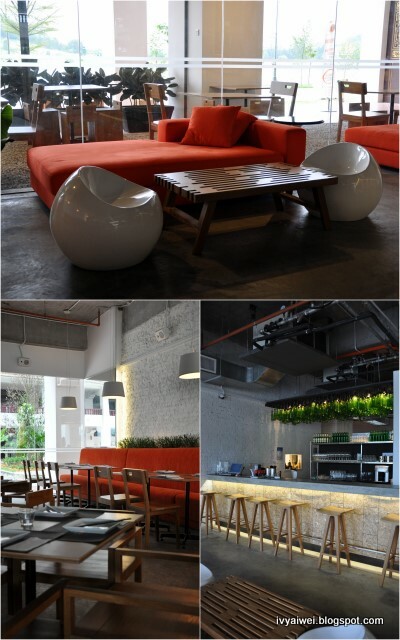 u ate a lot of food there, im going to that place too soon 😀 haha.. nice pictures, ai wei~! yaya, the fusion word is cute, isn't it??? The fried rice so interesting lor! hiya, thanksss but the pics aren't nice. huuhuu. dark environment e. there are few others nice stuff to try out. too bad, it was just few of us, couldn't try out the others. Hi.. this restaurant located at such a nice place.. the black fried rice is unique..
Thai fusion restaurant, without tomyam.. sad casE!!! got invite for a review session but i didnt go. 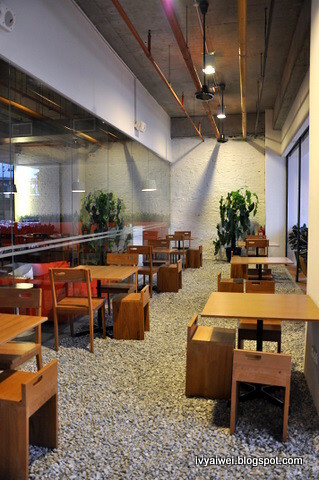 it's good to read frm u that tis food is up to expectations, cos it means it is consistent, since you are a walk-in customer.